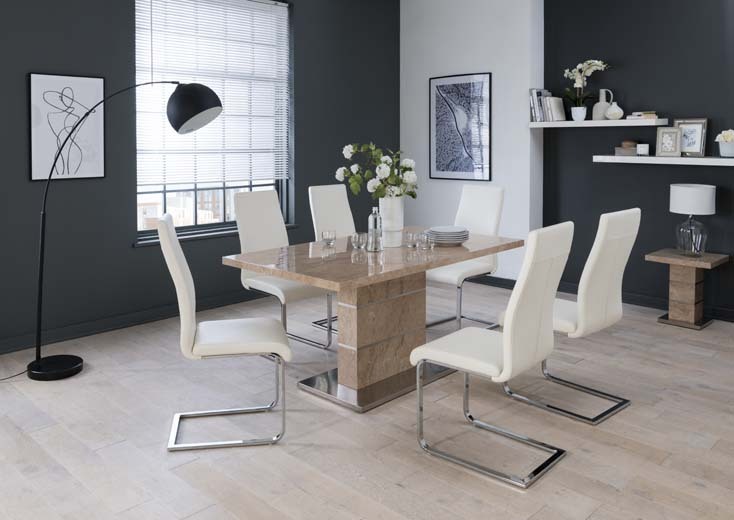 Rimini is a fresh interpretation of stylish Italian influenced stone effect dining. 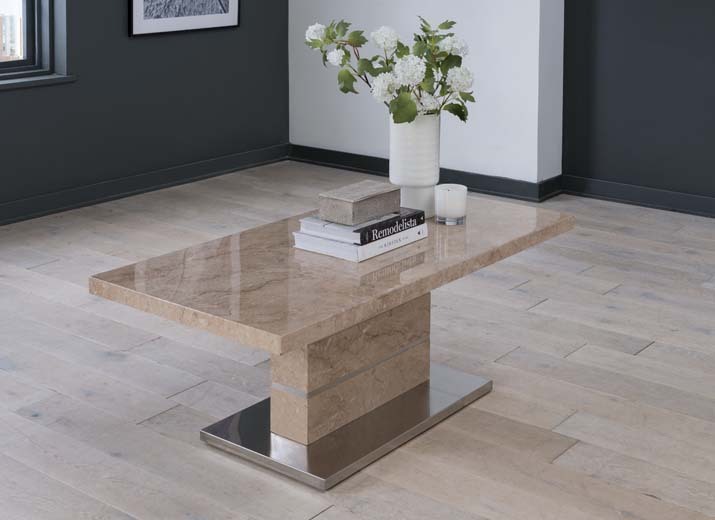 The soft stone colours are complemented by a contemporary brushed steel base. The soft cream dining chairs provide a subtle contrast which elevates this stunning dining collection to the height of modern day casual living. Add coffee and lamp tables to complete the look and then relax into the calming effect of the Rimini collection. Easy to clean soft touch and padded soft seat. 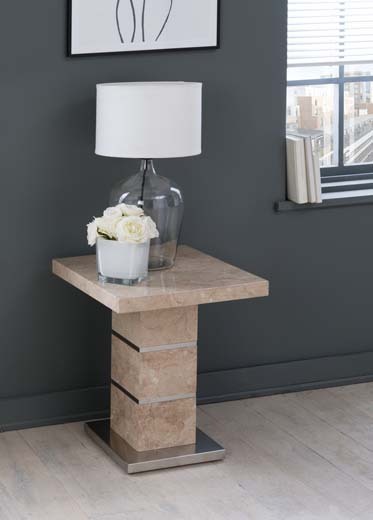 Rimini Lamp Table While Stocks Last!